This book points out the essential reasons why peace in the world and cooperation among people, communities, and nations have been so difficult to establish. It also advises the only way real peace and harmony can be achieved. In order for peace and unity to exist we must first realize what barriers and divisions keep us apart. Only then can we break through those barriers to see the unity that naturally exists between us all. Then, rather than focusing on our differences, it is easier to recognize our similarities and common goals. With a common goal, all of humanity can work together to help each other reach that destiny of working together to make this planet a practical place in which we all can live in harmony and peace. The factors that keep us apart. Breaking down the religious differences. We are all working to attain the same things. Our real identity: The basis for common ground. Seeing the Divinity within each of us. What we can do now to bring unity between everyone we meet. 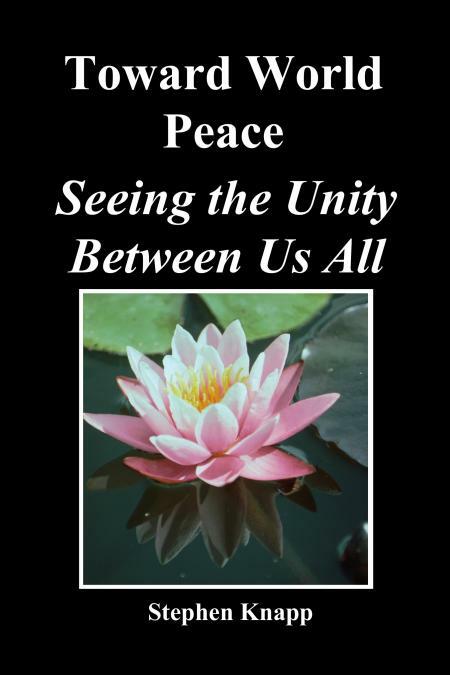 This book carries an important message and plan of action that we must incorporate into our lives and plans for the future if we intend to ever bring peace and unity between us. It is time to create a calm, cooperative, and prejudice-free world by seeing the natural common ground and unity that exists between us all. This book is $6.95, 6"x9" trim size, 68 pages, Or you can order it from your bookstore, ISBN: 1422813744, EAN: 9781452813745.